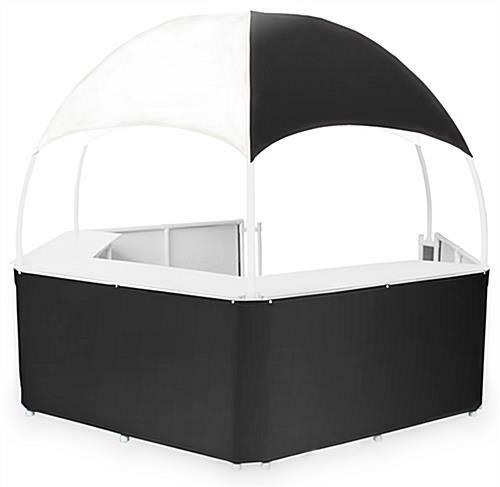 With its commanding size, this black/white tent kiosk is perfect for event exhibitors looking for something with a bit more elbow room. At 12’ wide, this booth can fit up to 5 people inside and offers more space to display your trade show supplies and promotional products. 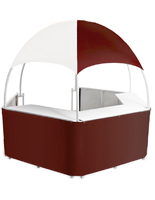 Despite its size, each portable tent kiosk disassembles with ease and collapses into 5 carrying bags. 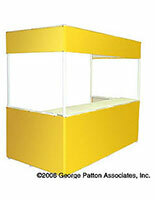 Its (3) 19” counters are food grade and wraparound the interior, giving your staff plenty of space to service customers. 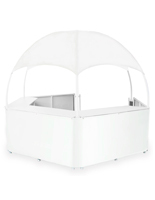 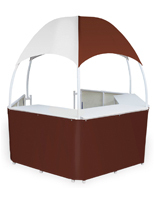 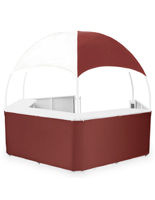 You can assemble this portable booth in just minutes with 2 people, allowing you to devote more time greeting visitors. 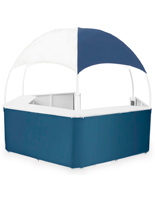 With its weatherproof frame and vinyl coverings, you can display this tent kiosk indoors at a trade show or outdoors at a sporting event.